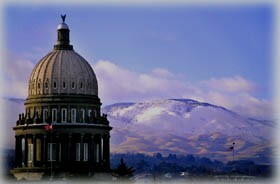 Become a volunteer Tour Guide at the Idaho State Capitol Building! “The Capitol Tour Program and the volunteer tour guides, called docents, who conduct the tours in our beautifully restored Capitol Building, are ambassadors for Idaho who touch the lives of 12,000 to 15,000 children and adults each year. Visitors to the Capitol Building include thousands of Idaho school children, as well as tourists and interest groups from around the state, the U.S. and internationally, as well. We rely on volunteers for this important program and are currently in a drive to recruit more volunteer tour guides into the program. We would like to extend the invitation to BSU students, employees and faculty. … Being a guide is a wonderful combination of not only history and education but also public speaking as docents are engaged in interactive conversation with their group of 10 – 35 people of all ages and walks of life. … It is a program that our docents find very personally rewarding.